Telltale Games recently released a trailer for their upcoming, 5 episode, Back to the Future: The Game. Hit the jump to watch the trailer. By the way, the voice actor for Marty is not Micheal J. Fox but some previously unknown kid named AJ LoCascio, and he does an amazing job. 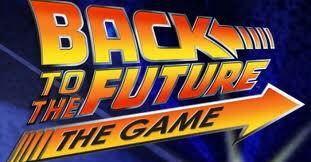 Back to the Future: The Game will release it's first episode this month. Look for it on Windows PC and Mac OS X as well as Playstation 3 and iPad. Socially Incorrect Media. Awesome Inc. theme. Powered by Blogger.